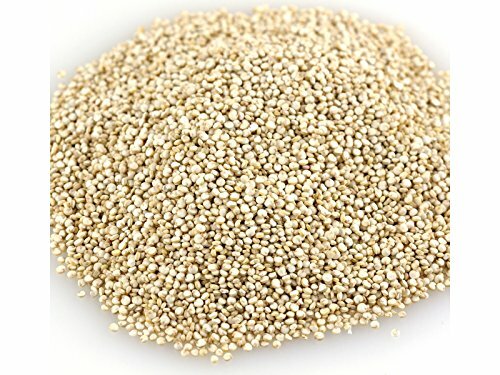 Organic White Quinoa 25 lbs. Quinoa is a "pseudo-grain"-actually a gluten-free seed, but used in cooking like a whole grain. This nutrient-rich grain is a wonderful source of complete protein, providing all of the essential amino acids. It is also a good source of dietary fiber. Quinoa is delicious on its own and the earthy flavor of quinoa makes it ideal for pilafs, soups and salads. Use it for a hot breakfast cereal or add uncooked quinoa to breads for a delightful crunch. If you have any questions about this product by Bulk Grains, contact us by completing and submitting the form below. If you are looking for a specif part number, please include it with your message.